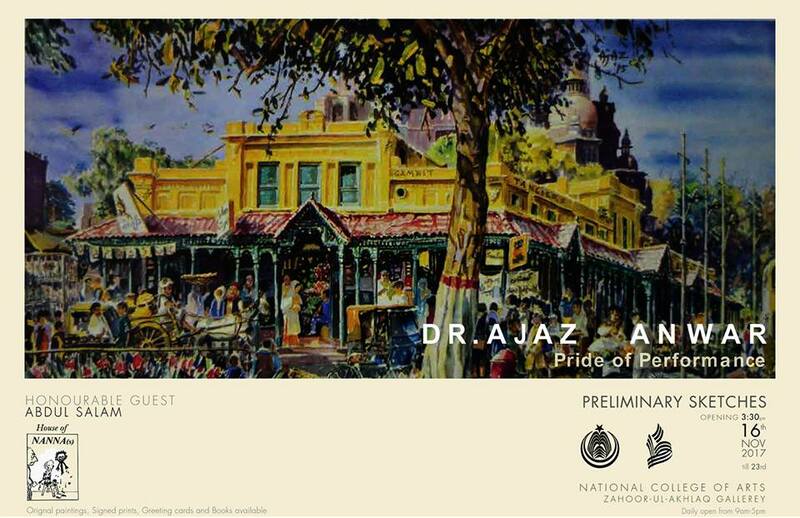 On 16th November 2017, "Preliminary Sketches by Dr. Ajaz Anwar" was organized at Zahoor Ul Akhlaq Gallery, National College of Arts, Lahore. Honorable chief guest Mr Abdul Salam inaugurated the prestigious exhibition. The exhibition was attended by Principal NCA Prof. Dr. Murtaza Jafri, administration, faculty members and students.